I LOVE it when restaurants go above and beyond to make their vegan options super tasty and constantly evolving. 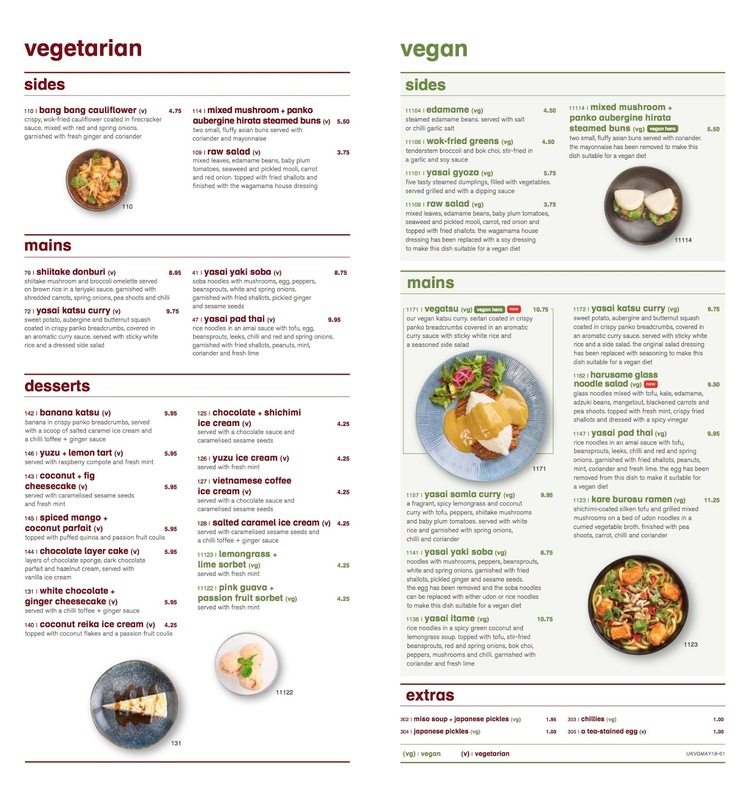 I'm talking about Wagamama's if you hadn't already guessed, and they've just launched a few new options to go alongside their existing vegan options. 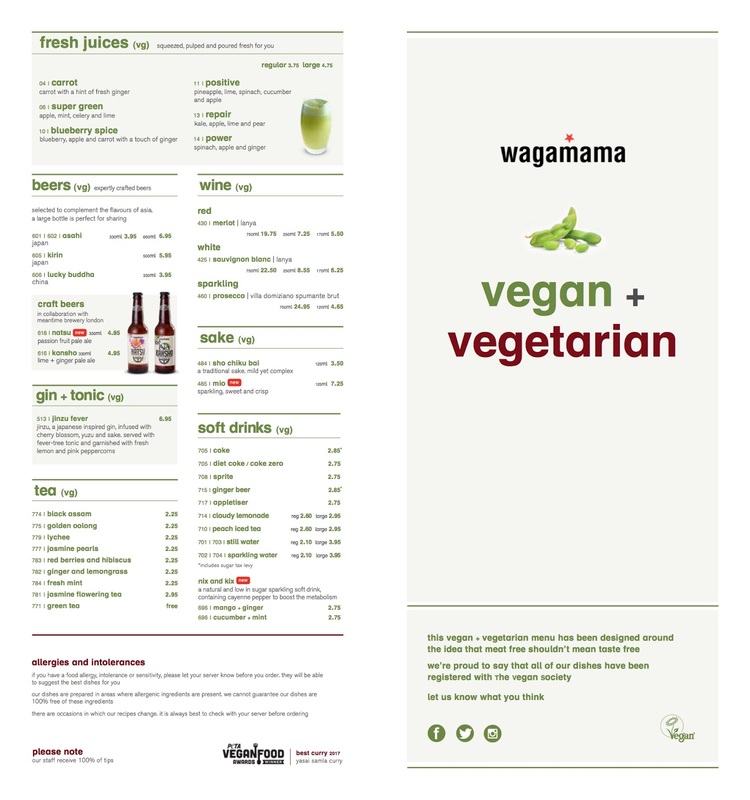 Scroll down to the bottom of this page to see the full 2018 menu, or click here to see it on the Wagamama website! The Vegatsu is a personal favourite of mine. 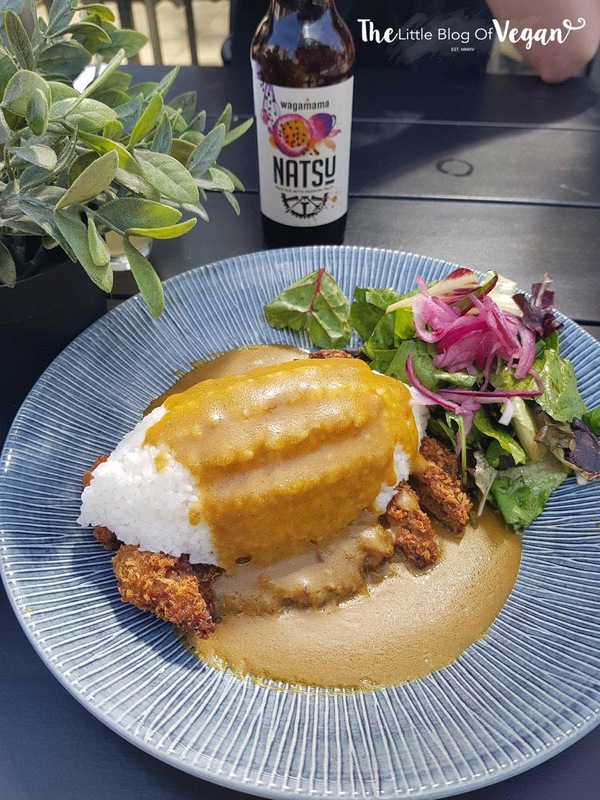 It's seitan (a tasty meat alternative) coated in crispy panko breadcrumbs and covered in an aromatic katsu curry sauce. You also get a hefty serving of sticky white rice and a seasoned salad. For those who have ever said vegan food isn't filling clearly, haven't tried the vegatsu, it's INCREDIBLY filling. In fact, I like to get this to share with a friend, so it's up to you whether to get it to share as a lighter option.. or eat the whole thing for yourself. I'm sure nobody could blame you - Its so yum! 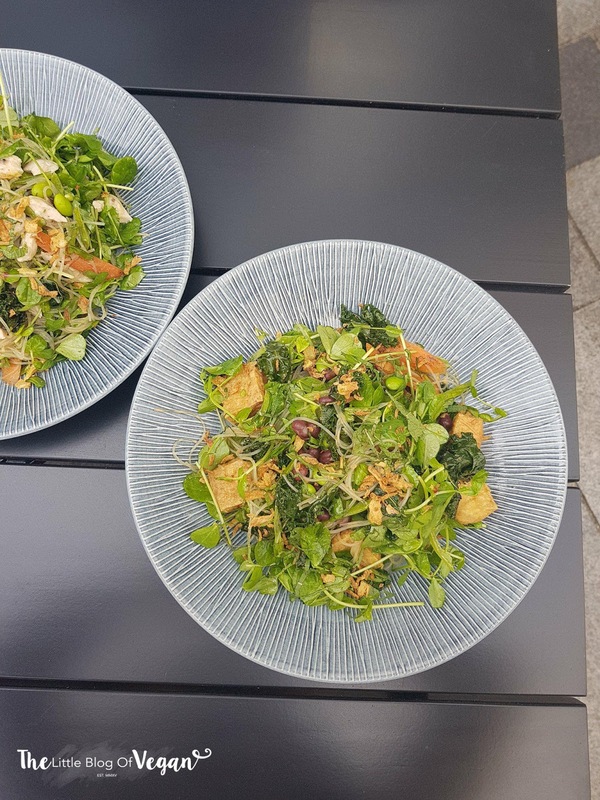 It's honestly so nice when a restaurant does something different with a salad, I'm loving the inclusion of the tofu too - Yum! Mixed into this salad is glass noodles, tofu, kale, edamame, adzuki beans, mangetout, blackened carrots and pea shoots, topped with fresh mint, crispy fried shallots and dressed with a spicy vinegar. It's a great option for lunch, or if you're wanting a slightly healthier option! Wagamama has also shaken up their steamed buns to make them suitable for vegans too - yay! 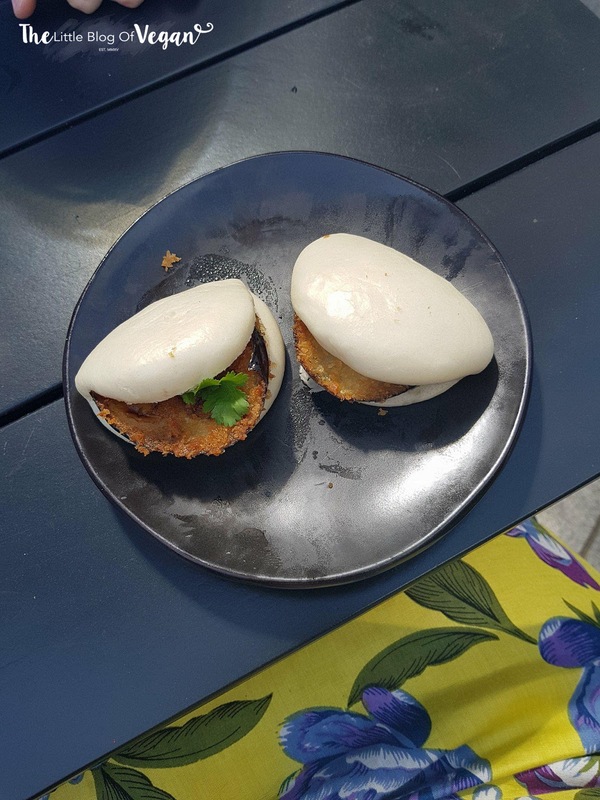 These yummy buns are perfect as a starter or side, and they are stuffed with panko aubergine, mixed mushrooms and coriander. 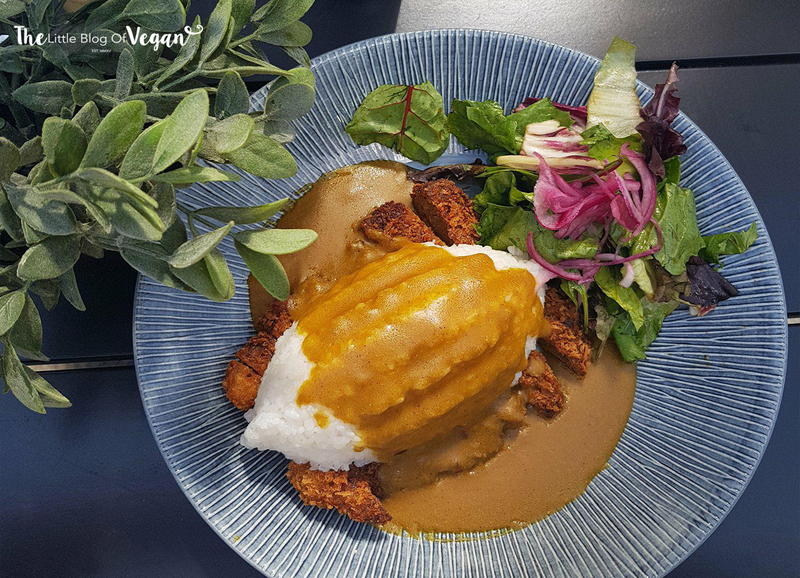 Wagamama has removed the mayonnaise to make these vegan, so just double check that yours are definitely mayo-free.